If you are suffering from heel pain and are searching for an immediate relief, we can help! There are a few treatment options that can help end your heel pain instantly. For many a steroid injection, Cortisone injection, can give patients immediate pain relief from heel pain. The injection delivers a numbing agent that provides long term pain relief. In addition, simple stretching exercises may be able to end your pain immediately. Although you will receive the best results after continuous practice of the stretching exercises, starting a routine may be able to give you instant, temporary relief. Cryotherapy and laser therapy are also great treatments that can provide immediate pain relief from heel pain. They are boh painless and can be done right in our office. The effects of these treatments are long lasting. Laser therapy is non invasive, does not require any needles, and is completely painless. Cryotherapy is also painless. At Family Foot & Ankle Specialists, we understand that heel pain can be just that painful! It can also interfere with your lifestyle. 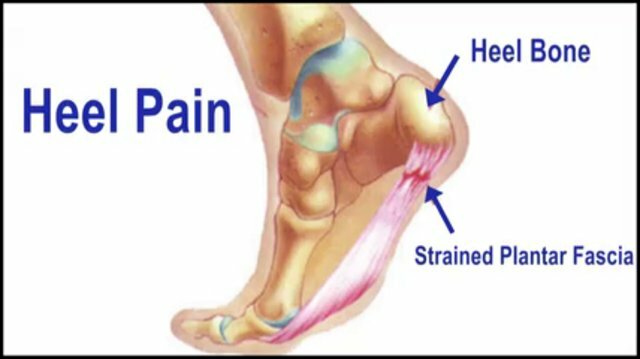 People who work on their feet, servers, airline attendants, teachers and many more suffer everyday from their heel pain. Getting treated can be easy, painless, and effective at ending your heel pain and keeping you on your feet! Call our office to get your immediate relief!